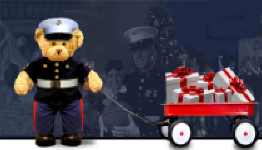 Peter Schneider did a masterful job once more and for the 20th time in setting up a low-pressure charity event for the Marine Corps' Toys for Tots Program. Forty-Four Cars started from Stu Lasser's Subaru and Kia dealership in Mt. Olive, NJ. It followed the time honored format; written instructions, some with mileages from the previous instruction. Trophy Paula and Dennis Biggs 958 pts. On May 2, 2010 the Motorsport Club of North Jersey presented its first rallye of the season, a 75 mile trap rallye called Gotcha Covered. The rallye took teams through seven old covered bridges in New Jersey and Bucks County Pennsylvania. 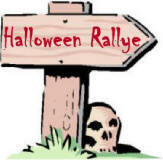 The rallye roads were chosen for their spectacular scenery, and many were narrow and twisted their way through the woods and along streams. Nineteen teams participated including 6 expert teams, 4 intermediate teams and 9 novice teams. The rallye started in the Flemington, NJ Burger King and ended in the Ship Inn in Milford, NJ. There were eight legs, and most contained traps designed to draw unwary teams off the official measured course and them bring them back without knowing they had ever been off-course. Teams who wandered off-course accumulated 100 penalty points for each mile they were either less than or more than the official mileage. There were also eight questions that had to be answered; incorrect answers cost teams between 25 and 100 penalty points depending on the difficulty of the question or the whims of the rallyemasters. This epilog will take you through some of the key traps and tricks. This leg took teams through the Sergeant Greene covered bridge, the only such bridge that still exists in New Jersey. This leg had a very hard “straight-ahead” trap and two tough questions. Teams traveling north on Route 29 along the Delaware River had their hands full; they were simultaneously looking for a large carved wooden eagle, a ratty railroad crossing sign, and either a “GRAFTON RD” sign or a sign directing them to Frenchtown. 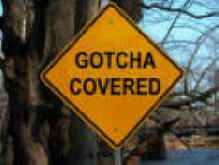 The first thing that most teams saw, however, was a large checkpoint sign with Peter Schneider directing them to stop. What all but three teams failed to notice was that Peter was distracting them away from seeing the ratty railroad crossing sign that was parallel to the road and not more than 50 feet before they reached Peter. Teams continued until Route 29 made a sharp 15 mph right turn immediately followed by a left. Less than half the teams failed to notice that they should have automatically abandoned Route 29 after the right because a tiny road provided a straighter path ahead. According to the SOL RIP “WEST END FARM” seen almost immediately after STOP, what animal can you assume the West End Farm specializes in? This question seemed easy, but it actually was a very hard trap. The sign was easy to see, it was on the left and it came almost immediately after a stop sign. It was also clear the farm specialized in horses. However, the correct answer was “?” According to the general instructions a STOP is an “intersection” controlled by a conventional octagonal sign that requires you to stop. However, because this STOP did not have at least two valid directions of travel it was not an “intersection” and since the “WEST END FARM” sign was not seen almost immediately after a STOP it should not have been seen. 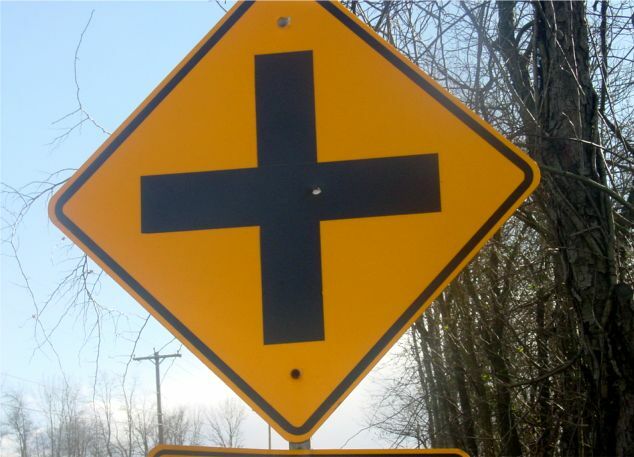 The “HOFFMAN’S CORNER” sign was seen first but it was actually two signs on the same pole which meant it was not a continuous surface and therefore it was not the correct sign. If you made the wrong turn (as almost all teams did) you drove 1.1 extra miles and added 110 penalty points to your score. Leg #5 Frankly, My Dear . . . Since teams had not yet made at least one turn they otherwise would not have made if it weren’t for the “follow” instruction, they had not yet completed the follow instruction and should not have been be looking to execute the next numbered route instruction. To do this correctly, you had to first realize that the L at FOPP did not cancel the “follow” instruction. Then in order to complete the follow instruction you had to turn right at the S to “follow” Municipal Rd. If you did this incorrectly it added more than a mile to your route and 120 penalty points to your score. “on to” is not the same as “onto”, therefore when teams came to the straight-ahead some believed they were onto Headquarters Rd and ignored the straighter road to remain onto Headquarters Rd. Teams who did that traveled a little over a mile less than they should have and missed the horse statue question which cost them a total of 130 penalty points. Leg #7 You’ve Got To Be Kidding!!! Teams saw both signs before they saw either turn, but they saw the “ROARING ROCKS RD” sign first. However the first opportunity to turn was the R on Jugtown Hill Rd. In an either/or instruction it is the first action that counts and not the first sign you see. Cars that correctly turned on Uhlerstown Rd went down an impossibly steep and narrow (but passable) road before reaching the Uhlerstown Covered Bridge. Cars that incorrectly waited until they could turn on Jugtown Hill Rd went down a beautiful road with an unusual one lane bridge, but missed the covered bridge. The difference in mileage between the on-course and off course loops was only about 0.2 miles but the off-course teams ended up at the wrong checkpoint location and as a result traveled 1.1 miles less in the last leg, costing them a total of 130 penalty points. The question was: Did you pass SOL RIP “PIPOLO’S”? The R at SOL “MUNICIPAL PARKING LOT” took you directly into the parking lot and the turn is therefore not at an intersection which it must be because a R can only be executed at an intersection. The Right after crossing a bridge into a Municipal Parking Lot is also not at an intersection, but it doesn’t matter since the word “Right” was used instead of “R”. Therefore the second option was correct. If you took the first incorrect option, the RIP “PIPOLO’S” sign was on your left, but if you took the second correct option the RIP “PIPOLO’S” sign was on your right. Therefore if you saw the SOL RIP “PIPOLO’S” sign it cost you 100 points.